Arlington Plastics Machinery has the plastic cutting machines for the specialized cutting of plastic materials. 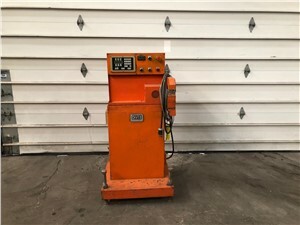 We have a wide variety of used fly cutters available for purchase within our inventory, featuring different models of machinery from various manufacturers. We sell used fly cutters as is, in running condition or fully refurbished – depending on your requirements. Browse our selection of plastic cutters to find the right type of machinery for your applications. Fly cutters are plastic cutting machines that will take plastic products, typically pipes, of different sizes and cut them to a desired length. Our high-quality plastic cutters offer superior precision and the ability to cut many different shapes. Purchase our fly cutters to make your plastic cutting process more efficient and productive, which in turn reduces your costs. 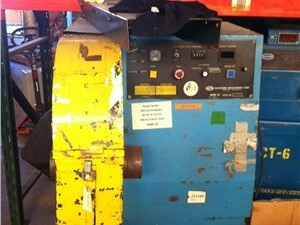 Arlington Plastics Machinery has the fly cutters needed to better your current processes.